Ljubljana really is one of Europe’s cutest cities but the country of Slovenia has more than just its capital to show off. 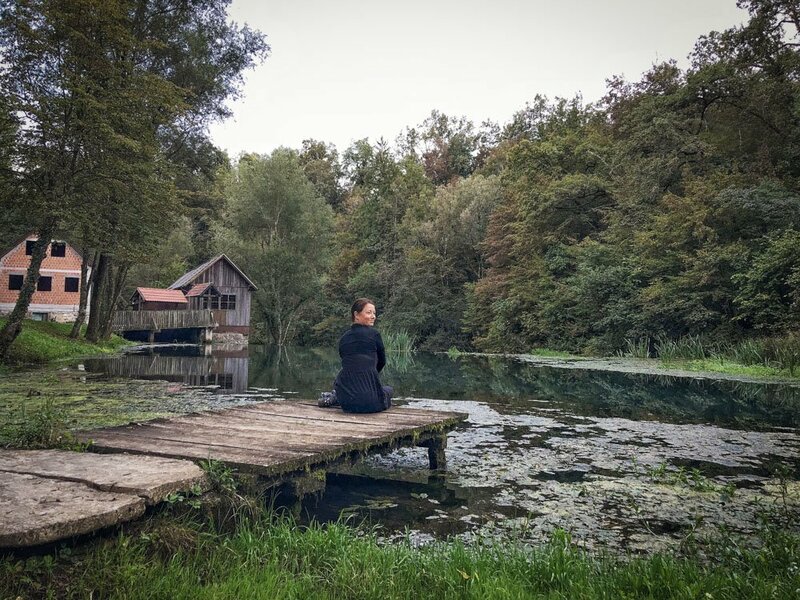 One of the best things about these day trips from Ljubljana is that since the country is small, you can hop to a new destination within three hours. This means less time wasted on travel and more available for fairy tale Bled, gorges, caves and wine tasting! 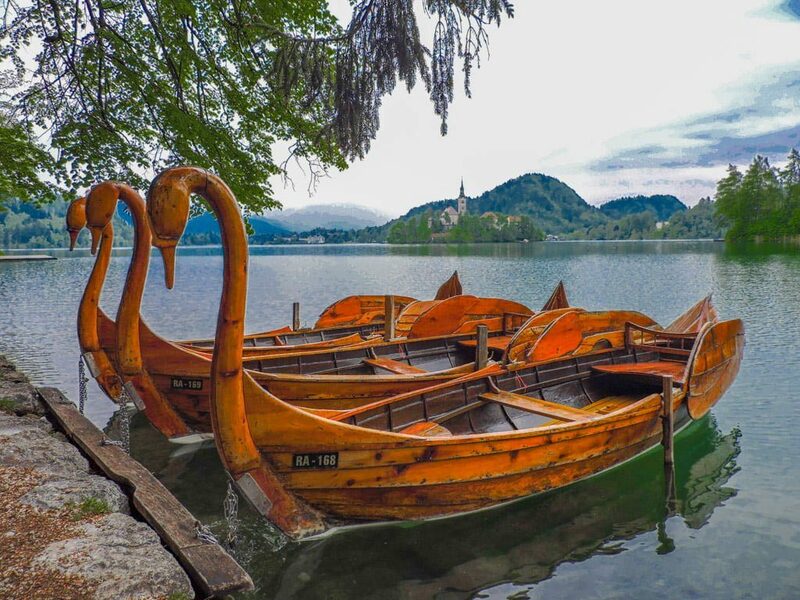 There’s a reason why the most popular day trip from Ljubljana is Bled. This small town is where fairy tales are based on. In the middle of Bled you will find a Lake (Bled) and in the middle of the Lake is a church. Visitors can row boats out to The Church of the Assumption, or be rowed in a plenta boat, and ring the church bell. There are a variety of hikes around the town too, many of which peak at beautiful viewing points. Bled Castle is hard to miss sitting on top of the cliff overlooking the lake. Its contrasting Romanesque and Renaissance architecture makes it striking and very photogenic. You can pay to enter the castle. The done thing to do in Bled is to eat Bled Cream Cake which is custard based dessert and very tasty. Ljubljana to Lake Bled: The cheapest way to get to Bled from Ljubljana (and back) is by bus. The ride takes 75 minutes and leaves on the hour from Ljubljana’s bus station is next to the train station in the middle of Ljubljana. There are lots of tours available if you would prefer to let others do the driving and/or if you wanted to avoid public transport. Tours typically last 3-5 hours and gives you time to explore the lake, church and castle independently. The Radovna River cuts the Vintgar Gorge deep between the hills of Hom and Boršt. There is a 1.5 km long wooden pathway that makes it easy to walk around and admire this green and gorgeous spectacle. Think gushing clear water that one can dip toes into, beautiful rapids and scenery all around. The Gorge also boasts of a large waterfall and a stone bridge towards the end of the wooden pathway. The walk is suitable for anyone, all you have to wear comfortable footwear. There is a small cafe that sells water and snacks after the main waterfall. There are a couple of restaurants just outside the parking lot of Vintgar Gorge, should you need more sustenance after the walk. Note: the Vintgar Gorge is closed to the public in the winter period. The entrance fee is EUR 5 per adult and a little less for kids. It is easily one of the most popular natural features of Slovenia so best to go as early as possible. 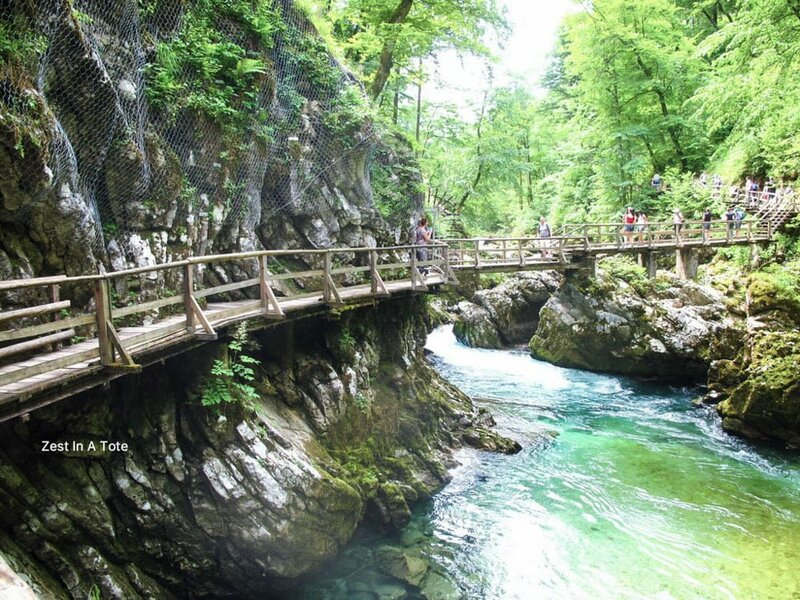 Ljubljana to Vintgar Gorge: Vintgar Gorge makes for an easy day trip from Ljubljana or Lake Bled. It is about an hour’s drive from Ljubljana and just 20 min away from Lake Bled by car. But if you do not have a rental car, it perhaps is better to book a tour or take a public bus from either Ljubljana or Lake Bled. While most tourists choose to go to Bled for a day trip from Ljubljana there is one more lake located a little bit further – Lake Bohinj. It’s even more breathtaking than its famous brother because the crystal clear waters are surrounded by Slovenian Alps, with nature around. After the hustle and bustle of Bled, this is a perfect getaway to relax and enjoy the stunning landscape. Bohinj is Instagram-worthy so get ready to capture the bridge and the church at the shore of the lake. The biggest highlight of Bohinj is the boat ride across the lake with stunning views of surrounding nature. The boats operate daily from the beginning of April until the end of September, tickets cost 9€ for one way and 10,50€ for return. There are 7 boats per day, the first one departs from near the bridge at 9:30. From the quay on the other side of the lake, it’s only a short walk to the cable car which heads up Vogel Mountain – expect mind-blowing views! Savica Waterfall is a short twenty-minute hike too. 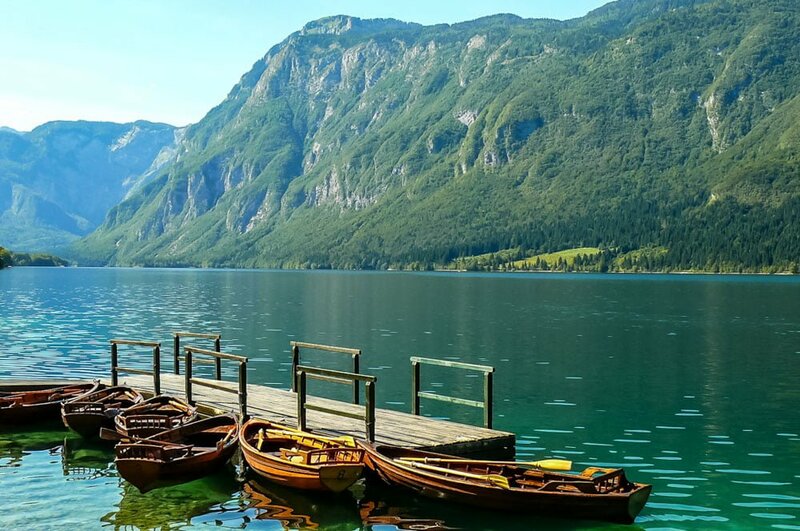 Ljubljana to Lake Bohinj: There are 16 buses per day (between 6am and 9pm) connecting Ljubljana with Bohinj, the journey time is around 2 hours, one-way ticket costs 9,80€ and return is 16,44€. 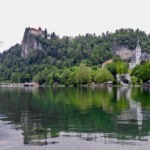 Why not combine a Bled and Bohinj tour from Ljubljana? This 10-hour day trip gives you ample time to explore the best of Bled and Bohinj – two lakes in ten hours! 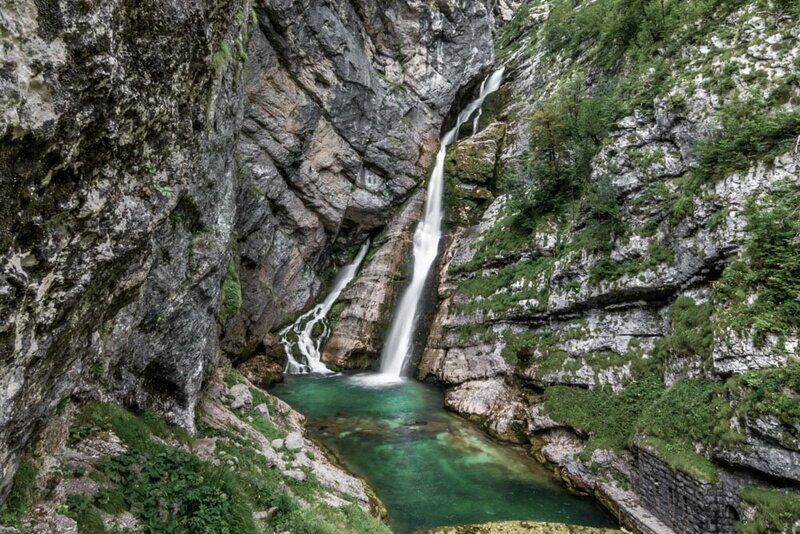 Slap Savica is one of the most beautiful waterfalls one can find in Europe. The emerald green looks unreal and before you go here you might think that the image and colour is photoshopped, but it really has the emerald green colour. The water is flowing nicely down the mountain wall and it’s just a pure bliss to look at the beauty of Slap Savica. 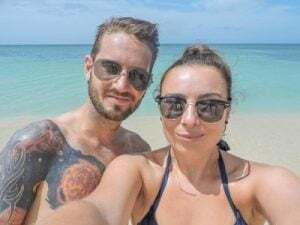 The only downside is that you can’t go for a swim or get really close to the water since it’s blocked by a fence, in order to protect it from tourists. Slap Savica is quite a popular tourist attraction in the Triglav National Park, so it’s totally understandable. Before or after you’ve visited the fall, you can also take a sip of the fresh spring water, which is said to be the fountain of the youth. Ljubljana to Slap Savica: It’s easy to get here, especially if you’re near Lake Bled or Bohinj. For seasoned hikers, it’s possible to hike here, but for most people, it’s probably easier to just rent a car or bicycle to get to the entrance and ticket booth. From there it’s just a short and easy walk to the Slap Savica waterfall. Located about 40 minutes from Ljubljana and just 10 minutes from Bled, the town of Radovljica should definitely find its way onto your Slovenia itinerary! 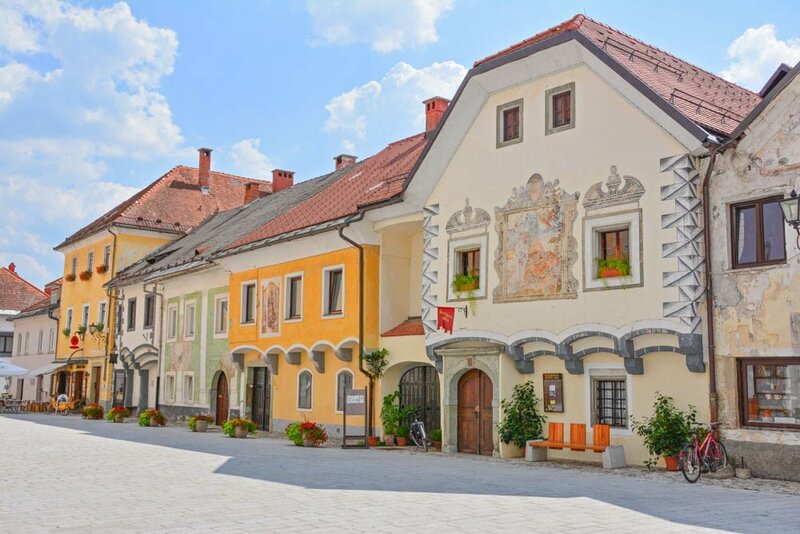 The Old Town Square of Radovljica exudes small-town charm with an abundance of fascinating history. Fun Fact: There is only 1 remaining moat in Slovenia and that moat, which dates back to around the year 1500, can be found in Old Town Radovljica. The buildings in the Old Town Square are a picturesque example of what a medieval town looked like back in the 14th and 15th centuries. If you visit Radovljica on a Tuesday, be sure to stop by the Tourism Office at 10 am for a free guided tour of the Old Town. Otherwise, you can always do a self-guided tour any day of the week and visit the Church of St Peter and the Chapel of St Edith Stein, two of the towns most notable features. Consider a stay in Radovljica if nearby Bled is too crowded or you’re simply looking for a peaceful small town to base yourself for a few nights. Radovljica has a nice selection of cafes, restaurants, and shops and the surrounding views of the Julian Alps can’t be beat! Ljubljana to Radovljica: Getting to Radovljica from Ljubljana is easy, as public buses run between these cities run often. For a bus schedule and up to date ticket prices, check here. As of August 2018, a bus ticket from Ljubljana will only cost 5.60 Euros. Radovljica is located a mere 4 miles (7 km) from Bled, so if you’re already in Bled and you’re feeling extra adventurous, you can walk or cycle through the scenic countryside. Otherwise, you can take a bus between Bled and Radovljica. However, the easiest way to get to Radovljica from Ljubljana is via motorway, so if you rent a car during your time in Slovenia, you can be to Radovljica in just over 30 minutes! Love to Ski but don’t like the expense? Consider Slovenia for skiing this Winter. Kranjska Gora has 18 slopes which vary in difficulty. Slopes cover 26km in length with blue, red, black piste available. There are seven chairlifts, three drag and one gondola. The height comes in at just under 2000, with artificial snow. The season usually runs from mid-December to late April. Ljubljana to Kranjska Gora: only a 1 hour and 10-minute drive from the city centre or 57 minutes from Airport Ljubljana (LJU). Jezersko is a mountain valley in the Alps of Slovenia, barely 40 minutes from Ljubljana – yet, there are next to no tourists, probably because the road to reach the valley is full of twists and turns. The name Jezersko derives from ‘jezero’, meaning lake because the valley was once covered by a glacial lake that retreated over the centuries. To pay homage to this former lake, a group of locals created a beautiful heart-shaped lake, now in the middle of the valley. There’s a lot to see and do around Jezersko. 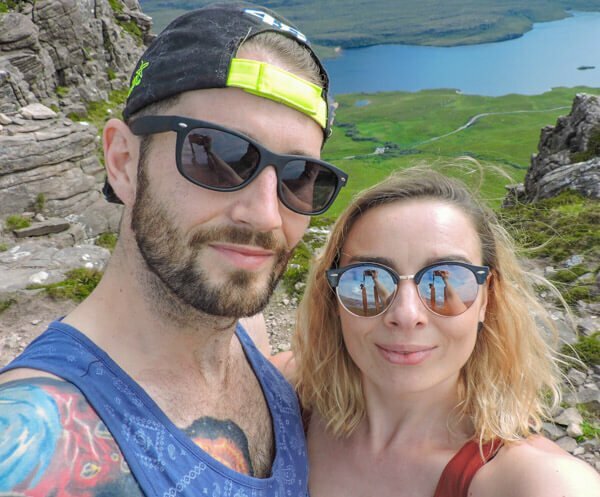 Adventurers can choose between hiking, climbing, cycling and even attempting some challenging via ferrata – but make sure you do so with a guide, as they are not easy. 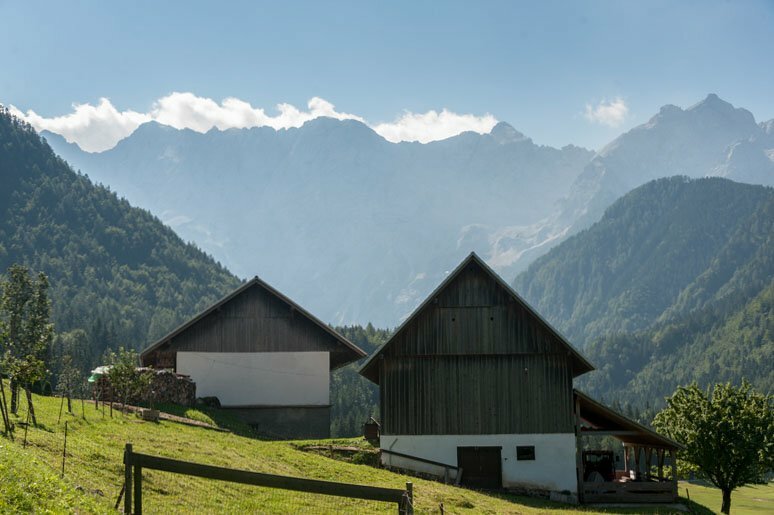 Those who prefer to relax can indulge in some delicious cuisine at local restaurants and mountain huts, learn about beekeeping and cheese making, and even take a walk with Matej, the local herbalist. The landscapes of Jezersko are really beautiful, and the valley can be visited year round – we were told that it’s worth seeing in Autumn when all the trees change colour. Ljubljana to Jezersko: The easiest way is renting a car for the day – it should cost around €40 and since it’s only 50 km from Ljubljana the petrol shouldn’t cost much. You can also take a bus but it you need to change bus in Kranj, so it takes over two hours. This 8-hour day trip takes travellers around Eastern Slovenia driving along through Brdo, Karawanks Jezersko Mountain, the Kamnik-Savinja Alps and into Logar Valley. Short hikes are factored in throughout the trip to see the mountain views and take in the fresh air. The more adventurous visitors can try out paragliding or archery. The UNESCO World Heritage-listed Škocjan Caves make for an excellent day-trip from Ljubljana. The cave system was created by the thundering waters of the Reka River, and in addition to the usual stalactites, stalagmites, cliffs and creatures, it contains one of Europe’s largest underground caverns. The scale is absolutely mind-boggling and makes visitors feel totally insignificant. At times the scenery really feels like a set from Game of Thrones, but it’s all real and all very impressive! Much of the cave system was created by the river weakening the limestone above and causing cave-ins (known as ‘dolines’), so there are several places where the deep-underground cave system is open to the air. But don’t worry, it’s very stable these days! At the Caves, there are two main tours available: the Underground River tour, and the Reka River Underground tour. 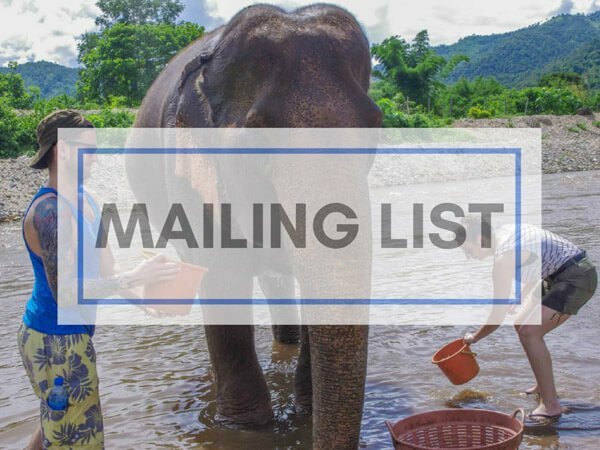 The Reka River tour is only available during summer months (June-September, with limited offerings in April/May/October), and can be done either with a guide or as a self-guided walk. It takes about 90 minutes and costs 12,50 euros for adults. The Underground River tour is guided-only, with hourly tours during the summer and less frequently during off-season months. This longer walk takes two hours and costs 16-20 euros depending on the season. You can also combine the two tours into one 24 euro ticket. Remember to bring appropriate footwear as it can get quite slippery in the caves, and of course, some warm clothing as it’s a constant 12 degrees Celsius in the caves! Unfortunately, photography isn’t permitted inside much of the cave system. Ljubljana to Škocjan Caves: To reach the Caves by car it’s an easy 50-minute drive down the A1 motorway heading south-west out of Ljubljana. By train, it’s a roughly 1h:45m journey from Ljubljana to Divača station, where there’s either a connecting bus or just walking the last couple of kilometres to the cave’s visitor centre. There are also many tourism companies in Ljubljana offering tours, though as usual, these come with a price premium. If you’re a wine fanatic you should visit Slovenia’s winemaking region – Vipava. Vipava is located less than two hours from Ljubljana. You can go on an organised tour or catch a local bus to visit Vipava and arrange a visit yourself. The town of Vipava is small, with less than 2000 residents and receives approximately 40 tourists a day, checking out Slovenia’s best wines. 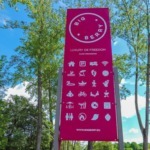 This means you can still explore a premier wine destination and not have to fight crowds! Your first stop should be the Vinoteca Wine Museum, housed within the town’s tourism office. There you can sample wine from 45 different winemakers. Next, you’ll want to tour some of the surrounding vineyards. Since no one wants to be the designated driver consider a vineyard tour (or three!) This wine day trip from Ljubljana visits two different distinct wine districts of the Primorska (Littoral) wine regions – the Vipava Valley and the Goriška Brda district. Vipava Valley is known for its progressive winemakers of the white variety – crisp and aromatic. Goriška Brda is predominantly the region of rebula white wine (ribolla gialla). All three wineries are family-run and small in nature. Postojna Cave Park is an easy and fun day-trip from the Slovenian capital, home to the spectacular Postojna cave, Predjama Castle among other attractions. A striking natural wonder, Postojna Cave is one of the country’s longest karst cave systems, stretching up to 24,000 miles. Upon admission into the cave, you can take an underground train journey through the captivating cave formations and subterranean rivers. The cave even boasts an underground concert hall, lauded for its incredible acoustics. 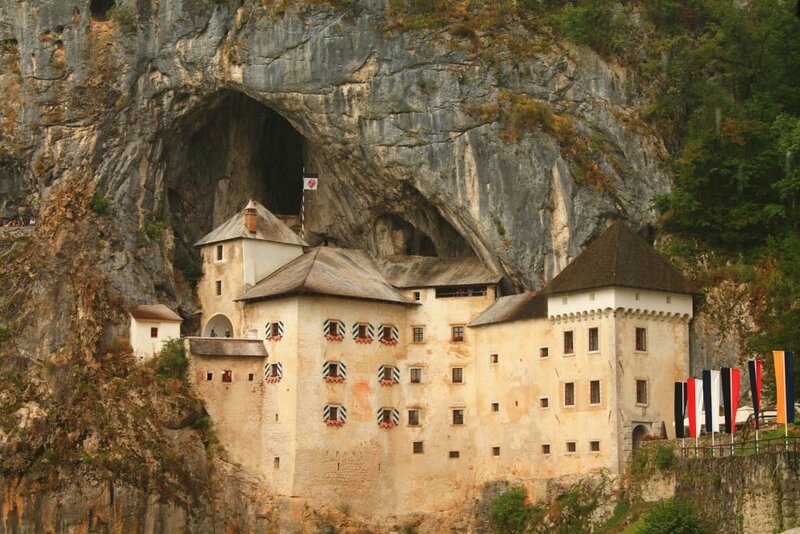 Predjama Castle is another sight absolutely worth visiting. Nestled into a cliff, the castle the image can compete with popular Bled! Each visitor to the castle is given an audio guide in order to learn about the castle’s long and intriguing history. There are two restaurants within the park complex, located in and around Hotel Jama (where accommodation is available if you’d prefer to spend more than one day exploring the sights). However, if you’re on more of a budget trip, it’s a good idea to bring a packed lunch with you from Ljubljana. 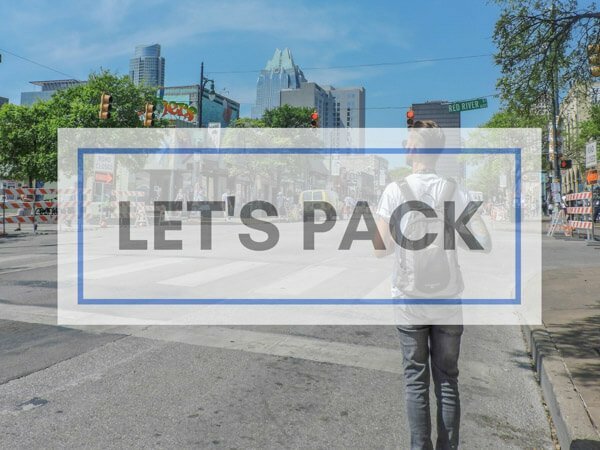 There are a variety of different attractions in the cave park, and a multitude of package deals are available to make the best use of your time and money. For example, a full park experience package is €45,60, giving you access to Postojna cave, Predjama Castle, the vivarium and Expo Cave Karst, all for only €15 more than the cave tickets alone. However, it is possible to buy tickets for each singular attraction. Commissary and family ticket deals are also available. Ljubljana to Postojna Cave Park: Transport to the park can be bought from the main Ljubljana bus station, where you can also buy the attraction tickets, saving you from queueing when you reach the park. The bus journey to Postojna takes about an hour and when you reach the town, it’s a good ten-minute walk to the park. This combo tour guides visitors through Bled, Postojna Cave and Predjama. Activities are available at each stop including a guided tour of Postojna cave. The tour consists of an electric train and short walk. Piran is a small coastal town on Slovenia’s Adriatic coast. The town is compact with narrow alleys winding through tightly packed houses. The most popular attraction in the town is the Tartini Square which is a beautiful square surrounded by important historic buildings like Town Hall, Venetian Building, Tartini House, Shell Museum, and the tourist information office. Do not miss a visit to the bell tower of the St George Cathedral which offers a spectacular view of the roof towns of the town of Piran and the blue sea beyond it. The buses to Piran drop you at the bus station some 10 minutes walk from the Tartini Square. There are shuttles running from Tartini Square to the bus station if you do not want to walk. 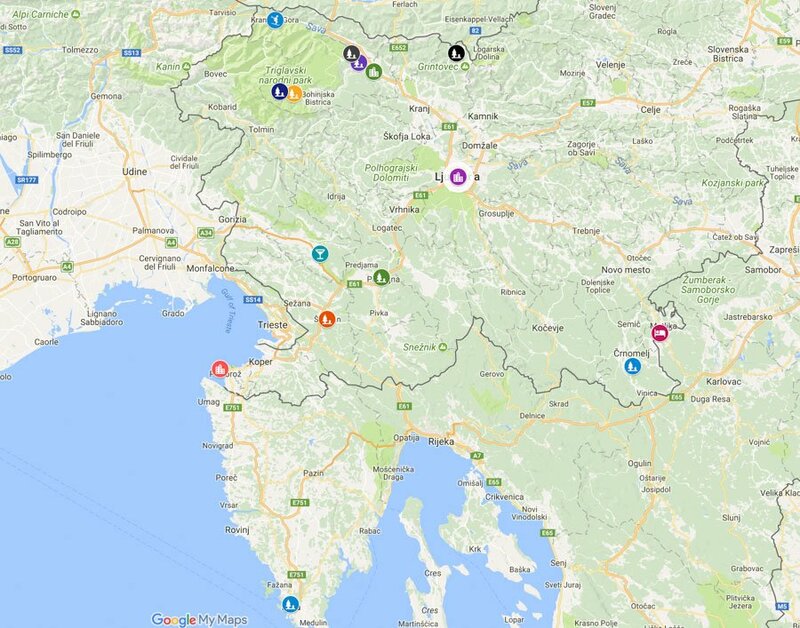 Ljubljana to Piran/Piran to Ljubljana: The frequency of buses from Ljubljana to Piran is poor so you need to plan your schedule accordingly. The bus to and from Piran stops at the Postojna Caves which is another popular Slovenia attraction. But you may not be able to combine both in the same day due to the limited buses running from Piran Ljubljana. Avoid this logistical headache by considering the Slovenia Coastal Tour which visits not only Piran but also Koper, Izola, Strunjan and Portoroz . If you are looking for a day trip to a place with an Italian vibe, then Pula in the Istria region in Croatia would be ideal. The entire coastline is filled with beautiful beaches and is considered to be the best in the region. 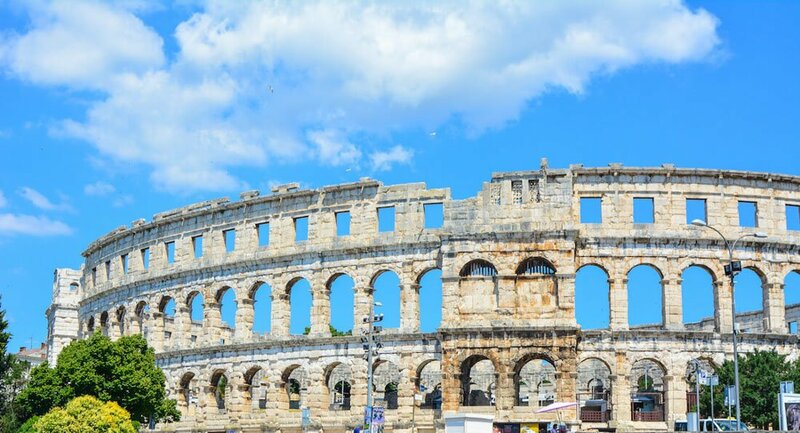 In Pula, walk around the old town and marvel at some of the Roman ruins like the Arena or the Amphitheatre, the Augustus temple or the Kastel. Alternatively, you can take a boat ride to the Briunji National park. The region is famous for its truffles, wine and beer. So don’t forget to gorge on all these before you head back to Ljubljana. Pula is a relatively small town. Hence it is quite affordable to do a road trip here. Ljubljana to Pula: The easiest way to get to Pula from Ljubljana would be to drive there. It would take 2 – 3 hours one way including the time spent at the security checkpoints. Bela Krajina is one of the most beautiful regions to visit in Slovenia, yet hardly known to mass tourism. Right at the border with Croatia, this region is a fantastic place to explore for anybody who enjoys nature, forest hikes, unique archaeological sites such as the Mithraeum of Rozanec; abandoned castles (Krupa, near Stranska vas, is a beautiful sight) and quaint villages. The water mill at the Krupa River is a nice, hidden gem where it is lovely to walk around, relax and enjoy the peaceful atmosphere. There are some fantastic vineyards where a wine tasting tour is a must; but honey and oil production farms are also great places to spend a few hours. Ljubljana to Bela Krajina: 1 hour 3 minutes drive. Forget tents and sleeping mats and think luxury cabins with hot tubs at the front – now you’ve got Big Berry’s glampsite. You can literally see Croatia over the water, you can even swim to it on a warm day, which make Big Berry the perfect end destination for your time in Slovenia. Alternatively, a very nice introduction if arriving after a holiday in Croatia. 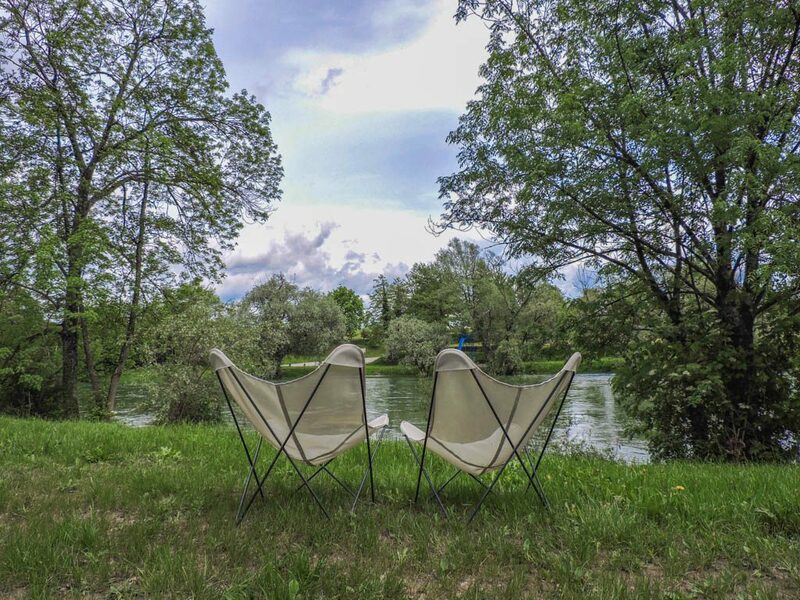 Big Berry’s philosophy is ‘Luxury of Freedom’ – freedom to use the glampsite car to explore the local region of Primostek and freedom to dine at your own leisure but a guarantee of good local and family-run businesses produce. Wake up every morning to a packed picnic basket of fresh milk, bread, fruit and yoghurt and enjoy a slow breakfast while watching the river flow by. 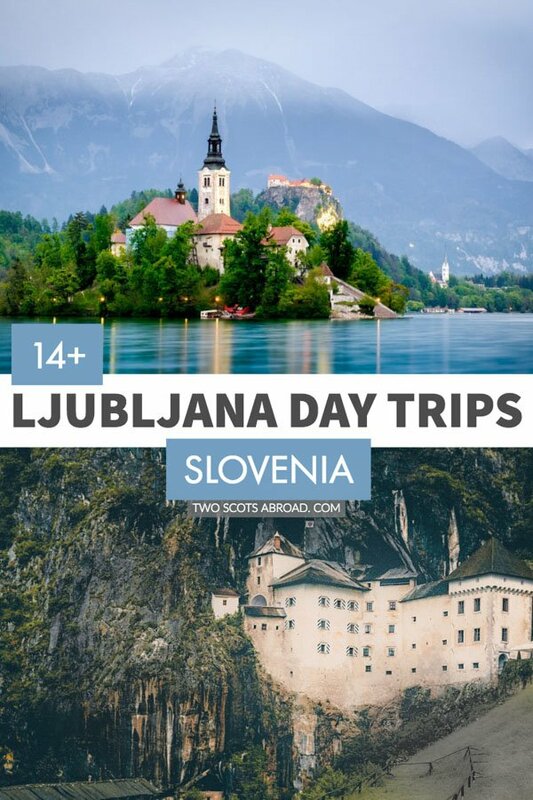 Click the image for access to our map detailing Slovenia’s top attractions. As you can see there’s a lot going on in such a small country, especially for travellers who love nature and historic towns. 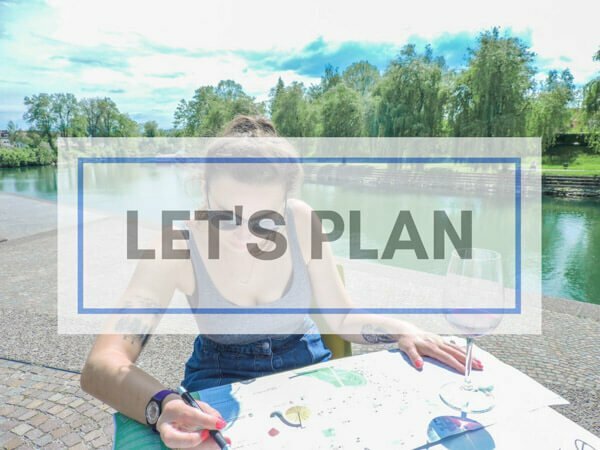 Ljubljana is honestly one of the coolest and most forward thinking cities that I’ve visited and I love the Slovenian attitude to fresh, local produce and laidback attitude – so leave the city in search of these Ljubljana day trips! Pin to your Slovenia board!